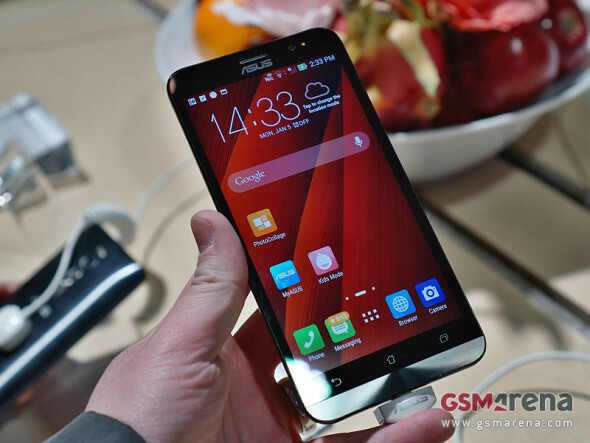 The Asus Zenfone 2 was one of the major announcements at CES in the beginning of January, offering powerful hardware in a budget-conscious package. Aiming to diversify its component suppliers list, the Taiwanese company is set to release more versions of the smartphone, replacing the Intel chipset with Qualcomm and Mediatek offerings. The original Zenfone 2 is equipped with either an Intel Atom Z3580 or Z3560 and 4GB or 2GB of RAM. The Qualcomm variant will sit in a lower-priced market segment, and will become available in Q2. The Mediatek-powered option will be targeted at markets like India where LTE capability can be omitted. Adding to the company's already less-than-obvious naming scheme, the new models may further complicate selection. The specsheet of the smartphone is otherwise headlined by a 5.5-inch IPS display of 1080p resolution for a 403ppi density. A number of storage option will be available ranging from 16GB to 64GB. A 13MP/5MP camera combo is responsible for picture taking and the whole thing is powered by a 3,000mAh battery. A detailed availability roadmap has also been revealed. The Zenfone 2 will first arrive in Taiwan, Hong Kong, Singapore, China, and surprisingly France, in March. Indonesia, Malaysia, Vietnam, Thailand, Italy and the US will follow suit in April, while Japanese folks may get it in May. Brazilians will need to be even more patient and wait until June. Update: After the publication, Asus Thailand has contacted us, stating that the April release of the Zenfone 2 is not exactly set in stone. A more conservative launch schedule means that the smartphone will be available "around mid of 2015". Additionally, the specs of the model that will go for sale are yet to be confirmed. If they had trimmed that bottom bezel, they would've made a perfect phone, but I guess this is their design choice. asus zf2 come to philippine pls..my moneys waiting grrrrr!!! !